Cork, Limerick and Waterford will better rival Dublin and the eastern seaboard with directly elected mayors able to spearhead strategic local development. 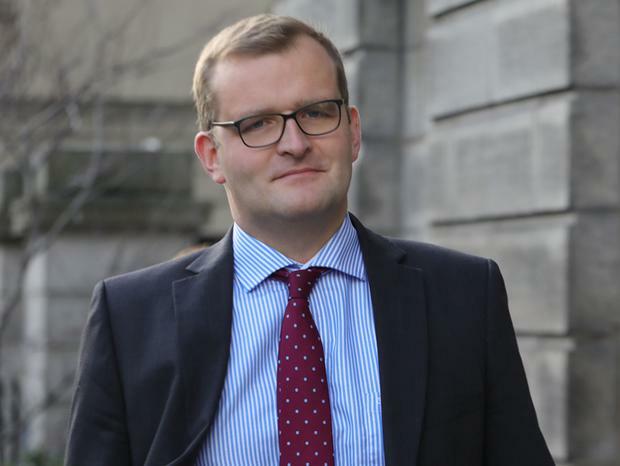 The vow came as Tanaiste Simon Coveney and Local Government Minister John Paul Phelan launched the Government's campaign for a 'Yes' vote in plebiscites to be held in all three cities next month on directly elected mayors. The plebiscites will be staged as part of the European Parliament and Local Government elections on May 24. If ratified by local voters, the three cities - Cork, Limerick and Waterford - will secure directly-elected mayors who will then secure many of the powers currently wielded by council managers. The first direct mayoral elections could be staged as early as 2020/2021. The plebiscites are stand-alone - meaning that any city which votes to have a directly elected mayor will secure one irrespective of the vote in the other two cities. Cork, which like Dublin and Belfast boasts a Lord Mayor, will retain that distinction. The Tanaiste vowed that Dublin residents will also get the right to vote on having a directly elected Lord Mayor - but only once complications are resolved over the fact such an elected executive will be dealing with four different local authorities. "This will be the most fundamental change to local government in my lifetime," Mr Coveney said. "The Lord Mayor of Cork (if directly elected) will be the most influential position in Ireland outside of Cabinet." He pointed out that Cork is scheduled to expand at twice the rate of Dublin over the next 25 years and, over that period, aims to expand to a city of 350,000 people. Mr Phelan said the plebiscite was effectively a public consultation and an attempt to offer people a greater say in how their cities are run. The aim is to revitalise urban development in Ireland along the lines of European and North American cities. "It will be a completely different way of doing local government," he said. If ratified by plebiscite, the first directly elected mayors will serve three year terms - but, after that, will serve five year terms to correspond with council elections. The position is open to everyone not just politicians with significant interest expected in the role from businessmen. Mr Coveney said that the new directly elected mayors will be properly resourced and will boast the executive powers currently wielded by city managers. Only certain planning and human resources issues will be outside their direct control. "This is a vital part of cities like Cork serving as a strategic counter-balance to Dublin," he said. Councils will have the power to block measures they do not agree with and, in exceptional cases, can take steps to remove a mayor who is not adhering to the terms of his role or his policy platform. "However, the bar will be high in that regard," he said. Councils will also have the right to refuse funding to mayoral projects they oppose or deem to exceed the mayoral policy platform. The Minister for Environment and Local Government will have a liaison role between such mayors and councils. Mr Coveney said that the recall parameters for directly elected mayors will be very specific. For the first time, Ireland will also see a special right of recall election for such mayors in certain circumstances, effectively allowed for non-performing mayors to be impeached and removed. Senator Jerry Buttimer - who played a key role in securing a 'Yes' vote in the marriage equality referendum - will be director of elections for the mayoral plebiscite on May 24. Kevin Doyle in Belfast THERE is a younger generation coming up in Northern Ireland that “don’t need guns put in their hands,” the funeral of Lyra McKee has been told. Rachel Farrell MANY residents in the midlands woke up to a sheen of red dust across their cars this morning - and more is expected to spread across Ireland this week. Conor Feehan and Rachel Farrell First time candidates in next month's local elections are "feeling intimidated" as more towns and committees call for their areas to be 'poster free'.